Here we go with a brand new year and a brand new year usually means that the annual Baby model search for some major brands may be just around the corner! Is your toddler, baby or child the next ‘It’ kid in the world of baby and kids fashion? If you are sure they are then the Baby, toddler and child model searches may be your way to prove it to the world. 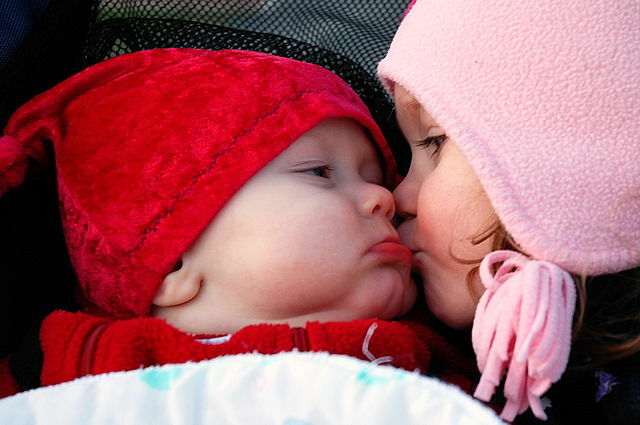 Many retailers have annual baby contests, whether your child has a gap in her teeth, a full set or no teeth at all, they are still adorable and may be able to win a contest. Most proud parents may disagree on whose baby, infant or toddler is the cutest, but most do agree that landing a spot in one of America’s top child fashion brands would be the opportunity of a lifetime and maybe your bundle of joy may just fit into that perfect gap. Every year for the past 6 or so years, many name brands have done a baby model search as well as a search for toddlers and young children. Babies grow up fast so there is always a gap that your child may just fit into. Last year a well known brand held a baby model casting and a child model casting for their respective brands, Baby and Kids. Hopefully there will be a baby open casting call in 2015 as well as one for child models. The baby modeling contests are usually held in early spring. Last year the events took place in April with 4 kids being chosen. The 4 children represent 2 lines of baby and child clothing. A boy and girl are picked for the Baby infant line and a boy and girl are chosen to represent The Kids, the clothing line for toddlers, pre- schoolers and elementary school children. Does your baby’s giggle light up the room? Does your toddler say the cutest things? Does your child like to be a big helper? Kids and baby clothes are brighter than ever as begins its coast-to-coast search today for the brightest babies (ages four and under) and kids (ages five to 12) with its sixth annual North American Casting Call contest. The children involved get their pictures uploaded to the companies site and public voting takes place. The large group gets narrowed down to semi-finalists and finalists and ultimately the 4 winners get chosen. The winners get…. some great prizes which include gift cards for The company as well as a photoshoot and a spot in their advertising and website. 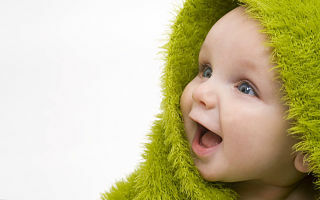 2014 will bring the 8th annual infant, baby and child casting call with a new group of kids that will be chosen to adorn the companies website and take the role of being one of the cutest kids in the U.S. The company is a huge clothing line which also includes other brands. The brand has over 14 billion in sales annually so being chosen to represent them is a really big deal. The baby modeling contest is very popular and many thousands of babies and kids get entered into it. So do you think you have the next Baby Model? the superstar toddler that can melt your heart and everyone else’s? Take great photos! Do not upload a cellphone pic or anything that is only OK. Make sure you take lots of pics and use the BEST one. The contest is all about OTHERS loving the picture, not just you. It actually is a popularity contest. Wear comfy, casual clothes and don’t use costumes or large props that take away from your child. By doing the above you are already ahead of the pack since so many parents upload dark, blur ry or irrelevant images that never win. The winners get to take part in a very fun day of photos and they get to get dressed up in the cutest kids clothes furnished by some company. The ads are cheerful and embody the spirit of childhood fun as well as good fashion sense. By the way, the company does have a weekly photo contest that is part of their Facebook page. Aspiring babies and toddlers can have their photos uploaded to the fan wall for a chance to be in the spotlight and baby model of the week on the brands page. For more info you can check out the photo contest post. I have a son who 3 yrs old, who is very handsome. Everyone says he should be modeling. Can someone help me sign him in, someone book my son. I have a lovely 6 month old baby boy with grey blueish, green brown, eye with them curls at the end. I would love for him to do baby modeling. would love more info for our son to model. thank you!! Would like to get more information. I have a gorgeous Newborn that everyone constantly comments on how beautiful she is; if I could get me info on how to get her into the Gerber baby contest that would be great. I’m interested. How do I sign up for my son? I have a 9 month old baby boy he’s half Dominican and half Asian Chinese. He has greenish hazel eyes with wavy hair. I live in nyc, please give me some info. I have a son who 8 months old who is very handsome. Everyone wants him. They say he should be a baby model.. someone book my son. I have two sons ages 7 month and a 11 years old. I would like to find out how to enter them in the contest. Thank you. I have a handsome 6 month old baby boy. Curly hair, long eyelashes and blueish grayish eyes. I would like to get more information. Hi, I’m trying to figure out how to sign up my 10 months old Twin girls. Every time we are out we get stopped by people. I’ve been told by many to sign my twin girls up for modeling. I have a beautiful 2 month old baby with brown hair and brown eyes. Everyone tells me he would be perfect for baby commercials. How would I go about getting him into baby modeling and commercials. Hi I am interested in this for my new born. If I could get more info on this that would be great! Hey I would love to enter my 4 month old into the contest. How do I enter her into the casting? My child is a beautiful girl. She is very photogenic, she stays smiling and laughing. I was told to sign Aniyah up on Gerber and I am very interested in making her a Gerber model, how can I go about doing that? I have a 14 month old baby boy who is very cute and poeple always tell me what a handsome baby he is. I would love information please, thank you. My little girl is 4 months old and I am intrested in getting her started in modeling. Blonde hair (of what little she has) and blue eyes. Please contact me with more information would be helpful! Thanks. Hello l have a 13 months baby boy. A lot of people tell me he is a cute baby, that he would be a perfect model. I would love the information, please thank you. I’m interested in signing my 7yr old daughter up. How do I upload photos and where do I go to apply? I have an 8 month old grandson I would love to enter in the contest. Hi! I have an 18 month old son named Ezra. He’s a mixed baby Asian&black. He’s very handsome and has great personality ! How do I enter my 8 year old daughter into this casting call? where do I upload the photos? Hi. I have 13 month baby boy. He is handsome and I want to introduce him. Where do I submit his photo? Hello my baby is a boy named Jordan he is 5 months old. He has a beautiful smile and gorgeous eyes. He likes to smile and laugh. Were do I submit his pictures, he is a great baby. He loves to pose for pics. Can I have more information please. He is chubby and has chubby cheeks and legs, long hair too. I have a newborn son and I’m trying go introduce him to the world. He is a star already and I’m just wanting the world to know it and see it. I have a gorgeous, handsome 7 month old son with a head full of hair.. a big huge beautiful smile with the most soft chubby cheeks ever. He was chosen by a photography company that advertised 4 babies on the “today’s show”. I would like more information please. I’m still trying figure out how to sign my 4 month old up. Hello I have a beautiful daughter that will be two at the end of the month. She has fair, flawless skin with pink cheeks and rosy full lips. Big blue eyes and long full eyelashes. She has shiny, thick, medium length sun-kissed golden hair. I would love to inquire about more information please. I want to sign up my daughter for the baby casting. I have a 9 month old baby boy who looks just like the Gerber baby. Hello, I have a beautiful 1 month old spanish baby with blonde hair and blue eyes. Everyone tells me she would be perfect for baby commercials. How would I go about getting her into baby modeling. I have one year old, cute boy. I want to introduce him. Where do I submit his photo? I have a 3 yr old little girl who loves to play act, dance and sing. Where can I submit her photos or videos? My little miss Sophie is 3 year-old bright eyed full of life LITTLE, blond hair, blue eyed girl. People are always saying how cute, beautiful she is. Hello I have an eleven month old boy, blue eyes, brown hair, that I believe would be a good candidate for baby modeling. If you can get a hold of me and see where we can get. I have a 2 year old girl, we went to USA in May and in a royal Caribbean cruise ship. People of the crew took her pictures and told me she could be a Gerber model.. I live in Ecuador, I would like information, please.